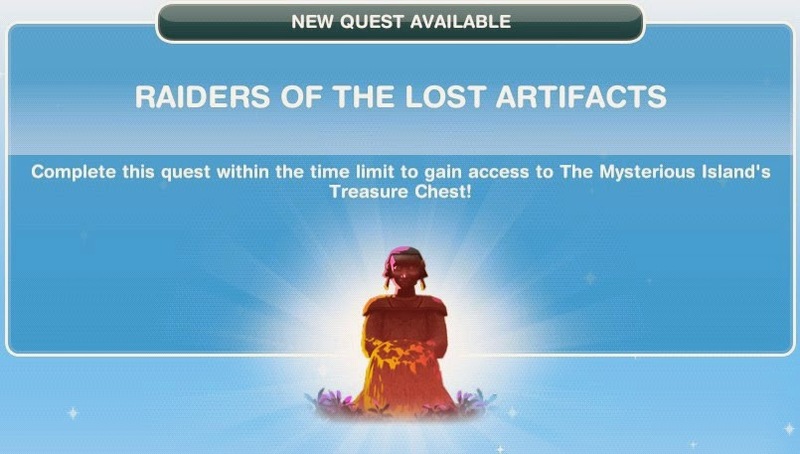 This is a time-limited quest-line, you're given 2 day (23 hours remaining at the start). 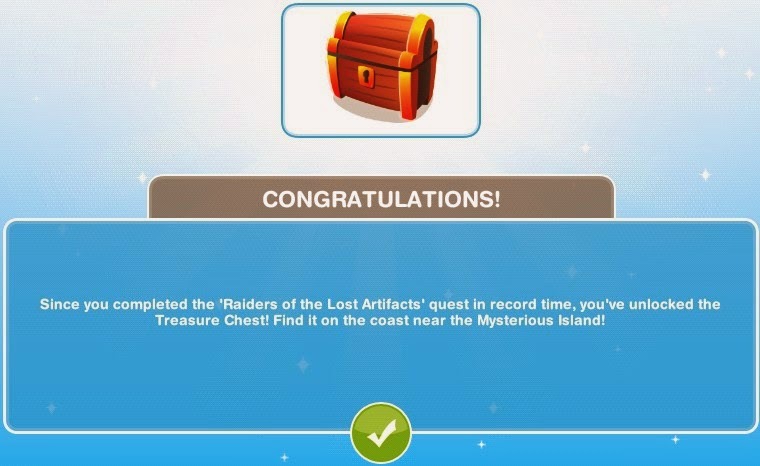 Additional reward: Ability to collect the Treasure Chest prize pack (not available in Online Store). Your Sim should rebuild it! Simply find all of the missing pieces and put them back together! First you might need to learn a little about archaeology though. Read the Big Book of Stuff. (Hmm, nothing in the fridge. Maybe some of the artifacts were thrown out in the garbage. Search for Artifacts in the garbage! (Hey, you found one! That's two of the three artifacts needed to build the first monument to level one! They seem to be scattered all over the place… have Sims keep searching for them by doing random actions! (Bingo! 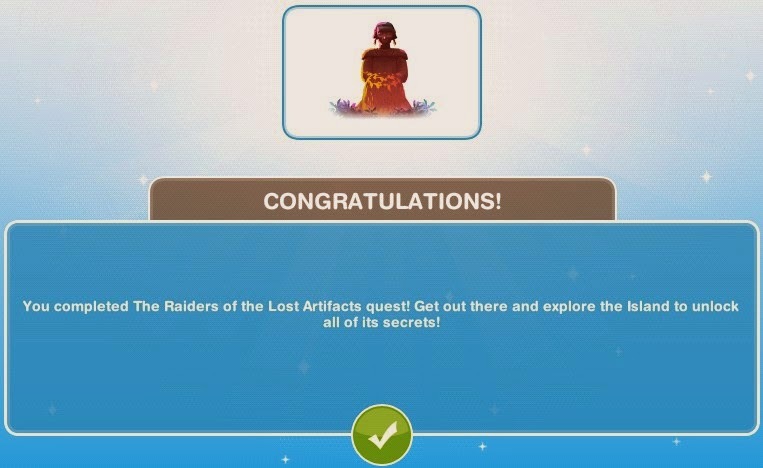 You've found all three artifacts now! That's enough to upgrade the first monument, 'The Riches of Terra', to level one! Go and do it now! You completed The Raiders of the Lost Artifacts quest! Get out there and explore the Island to unlock all of its secrets!